Sanna started her online workout coaching by herself and did really well! She sent an email to subscribers with YouTube links to workouts every week, and invoiced them manually every month. This worked well with a few customers, but when the concept started to gain popularity, it started to be impossible to handle everything efficiently. This is when Sanna contacted us and we sat down and broke all ideas down to pieces and started planning how we could automate and make things easier for both the customer and Sanna herself with an online application. 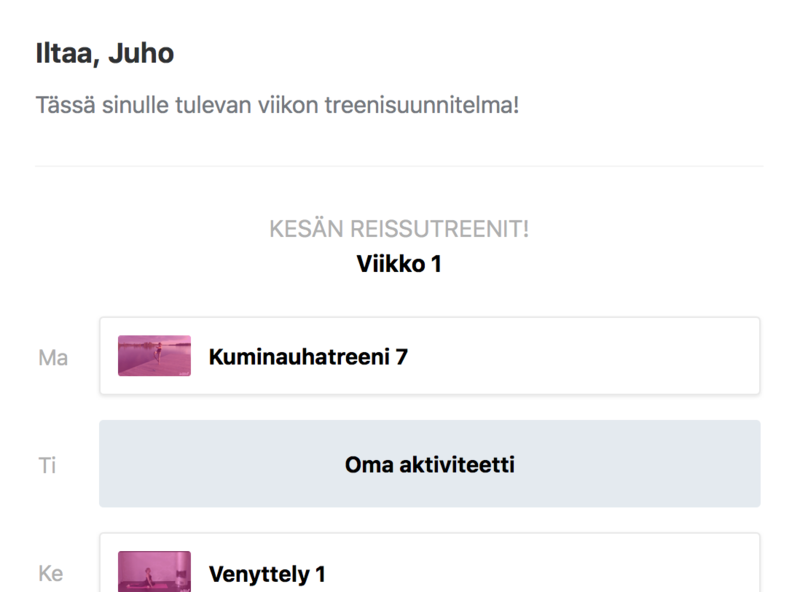 We did everything you would expect from the app, based on what Sanna had already been doing: weekly workout plans, courses, a workout library and stuff like that. And that alone would have been awesome. 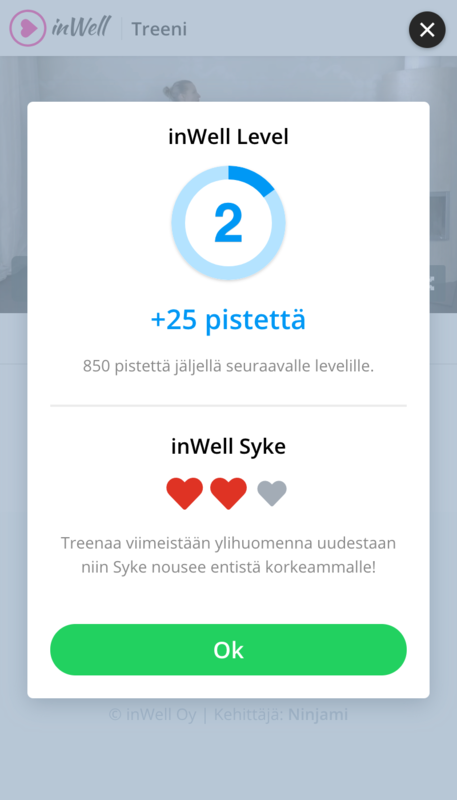 But in addition we have developed the environment to include stats, levels and a unique inWell Pulse motivation system. These extra features have helped users to stay motivated. Gone are the days of manually invoicing customers. By having subscriptions paid for by card, the customer is in total control. 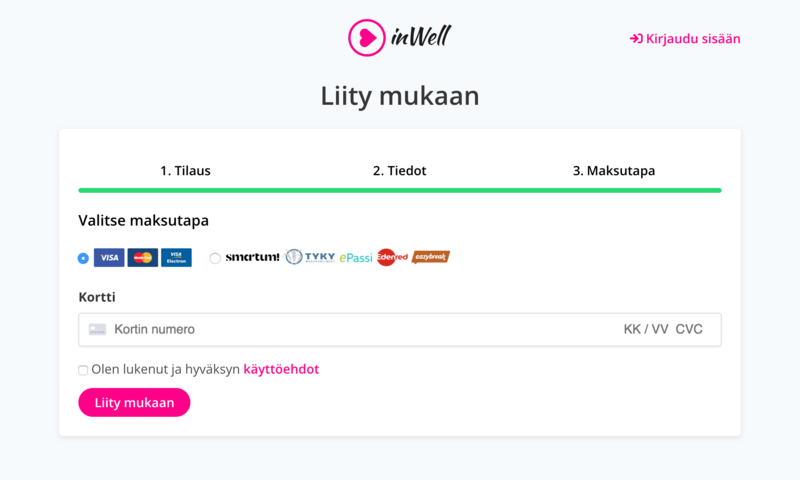 They can cancel, change plan, upgrade, or unlock free time with inWell Coins - all without contacting customer support. It is as easy as it should be. When reciving a weekly email, its important to recognize the sender. So naturally we styled the weekly emails, password resets and other emails with the same simple and clean style as the app.